In 1893, Caleb Bradham created a drink in his home spicing it with kola nuts and the enzyme pepsin. At first, he called it “Brad’s Drink” and this was the first name of Pepsi Cola. It was so delicious that he soon started selling it in his neighborhood. Later, in 1998, this tasty beverage was renamed to Pepsi Cola and this was when the start of this world brand was put. The first years Bradham prepared Pepsi in his drugstore, but soon he was not able to supply the increased quantity that people wanted to buy. In 1903 he rented a building where the bottling of the drink was moved. The sales in that year reached almost 8000 gallons. Seeing a big potential in his drink, Caleb started building a brand and actively marketing his product. He developed a new handy bottle, which could be sold almost anywhere. This simple move more than doubled the sales, which reached nearly 20 000 gallons in 1904. The next year the first logo of Pepsi was created. A few years later, Bradham hired the racer Barney Oldfield, who became the first face of Pepsi Cola, advertising it as a nice refreshing drink, a nice bracer before a race. Everything went well, Bradham enjoyed increasing sales and people enjoyed more and more his drink. It was initially branded as delicious, healthy and refreshing, and that had continued for the next two decades. The “Roaring Twenties” helped with the fast growth of the company. These years were times of wealth and excess. But when the crash of 1929 hit the society, things changed dramatically. At the climax of the Great Depression, “Pepsi Cola Co”. filed for bankruptcy. Its creditors liquidated all of the assets of the business to collect their money. A guy named Roy Megargel bought the trademark “Pepsi Cola” and created a new company, but not for long. A few years later the business defaulted on its debts once again. This time Charles Guth, a candy manufacturer, and businessman, bought the assets. He had been recently refused a discount on the syrup of Coca-Cola, which he wanted to sell at his retail stores. Now he would sell Pepsi there. In 1936, Pepsi was sold in a 12-ounce bottle for 10 cents, but the sales at that price were not going well. At that time Coca-Cola was sold at a higher price, but in smaller bottles of six once, 6 cents each. Pepsi decided to reduce the price 50% in order to increase the revenue and fight against the strong brand of its main competitor. They combined this with some radio advertisements featuring “Pepsi-Cola hits the spot, Twelve full ounces, that’s a lot, Twice as much for a nickel, too, Pepsi-Cola is the drink for you”, and in fact, the goal was achieved. The sales skyrocketed and the profits doubled in 1938. But the real benefit was that Pepsi became stronger and far more established brand. 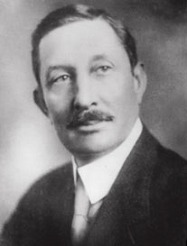 In 1940, a new smart move was made by Pepsi’s new president – Walter Mack. He noticed that African Americans were ignored in the marketing campaigns of the company. This was a real gold mine because nobody was directly targeting towards them. This was a great way of increasing the market share. A “black sales” team was formed, but World War II stopped these plans. The campaign was resumed in 1947, by Edward Boyd, who was hired for only for this purpose. A sales team only of blacks was formed to promote the drink across America. The team faced great resistance caused by racism, but this helped, because they were able to use discrimination as a weapon against Coca-Cola – they didn’t want to hire African Americans. That’s why they wouldn’t buy Coke. Pepsi’s market share increased significantly and for the first time, the sales of the company surpassed the sales of Cola in some areas (Chicago for example). But the focus on African Americans caused some problems in the company and its bottlers. There was a fear, that Pepsi would become the “the black drink”, which would hurt the sales to whites. That’s why in 1950, the “black team” was dismissed. For the next years, Pepsi didn’t stop its expansion. The company focused on its marketing efforts and on building a strong brand. With the spread of radio, it was used heavily for advertising purposes. Later Pepsi switched on to television. Many famous and well-known faces were attracted to participate in the company’s campaigns. During the next years, Pepsi launched some very successful marketing campaigns under different slogans, which you can see at the bottom of this article. After World War II, the company started its expansion around the world. During these years in America, new social phenomena appeared – the baby boomers – the postwar generation. This was the new Pepsi generation – “Come alive! You’re in the Pepsi Generation”. In 1964 a brand new type of the drink was released – the Diet Pepsi because more and more Americans were paying more and more attention to their weight. The product happened to be successful and two years later a new marketing campaign was started only for “Diet Pepsi” – “Girlwatchers,”. Pepsi started an innovative marketing campaign in 1975 – a blind tasting of Coca-Cola and Pepsi drinks. The people who tried the drinks had to tell which one was better, without knowing what she/he drunk. Amazingly, most of the people chose Pepsi as the better drink. Later the results of these tests were shown on TV and other media, making a lot of noise and attracting a lot of attention. On the next year, the first woman was employed by the company. In 1984 Pepsi’s new generation had become 20 years old. This was the time for the “The Choice of a New Generation” campaign to be launched. This once again puts Pepsi on the leading edge of contemporary culture. In its early stages, the New Generation campaign featured the greatest pop star of that time – Michael Jackson. He and his famous “Billie Jean” starred in a series of Pepsi-Cola commercials. This was the time of fierce fighting between Pepsi and its main rival – Coca-Cola which, was really annoyed because of the fast rise of Pepsi. They even changed the secret recipe of the Coke, but the change was rejected by the customers and these who liked Coke, quickly switched to Pepsi. Coca-Cola had no choice and returned to the old recipe of their drink. Pepsi President Roger Enrico declared victory in the so-called cola wars and awarded Pepsi’s workers on a holiday to celebrate. In the 80s many other stars were attracted for the advertising campaigns of Pepsi. Some of them were Tina Turner, David Bowie, Lionel Richie, Gloria Estefan, Glen Frey and many other. Even Geraldine Ferraro – the first woman vice-presidential candidate in the U.S participated in a campaign dedicated to “Diet Pepsi”. 1987, the logo was changed slightly to a more rounded one, which was used to 1991. During the 90s, Pepsi Co signed a huge trade agreement with The Soviet Union. The company signed a $3-billion deal to more than double production and sales of soft drinks in the Soviet Union in exchange for ships and the rights to sell more Soviet vodka in the United States. Pepsi also increased its investment activities in hot markets as Eastern Europe, Southeast Asia, Argentina and some other countries. A new great historical advertising campaign was started – “You Got the Right One Baby, Uh-Huh!” focused on Diet Pepsi, with Ray Charles and “Uh-Huh Girls”. Cindy Crawford and Shaquille O’Neal also were hired for some great advertisements like “Be Young, Have Fun, Drink Pepsi”. In these years the company introduced many new products. A partnership established with “Starbucks” gave birth to the brand new drink – “Frappucchino” – a refreshing drink based on coffee and Pepsi Cola. Frappucchino soon became the most preferred cold coffee beverage in the US. Pepsi also entered the bottled water market introducing the “Aquafina” water. In the late 90s (1997) Pepsi started the campaign “GeneratioNext” returning to the very successful generation theme. PepsiCo today is a world leader in convenient snacks, foods, and beverages, with more than 280 000 employees and revenue reaching $60 billion of dollars. The company is the owner of some of the greatest world brands Pepsi-Cola, Mountain Dew, Diet Pepsi, Lay’s, Doritos, Tropicana, Gatorade, and Quaker. These are well-known all over the world. 1976 – “Have A Pepsi Day” – a meeting between a little boy and some even smaller dogs, became a commercial classic. 1979 – The “Catch that Pepsi Spirit” campaign was launched. 1883 – The drink was advertised under the slogans – “Pepsi Now” and “Its cheaper than Coke!”. In 1984 – Was the time when a new generation had emerged around the world. It was time for “Pepsi, the Choice of a New Generation” – a great commercial with Michael Jackson. If you liked the story of Coca-Cola, please use one of our nice social buttons to share it with a friend. Help us write many more cool stories this way!